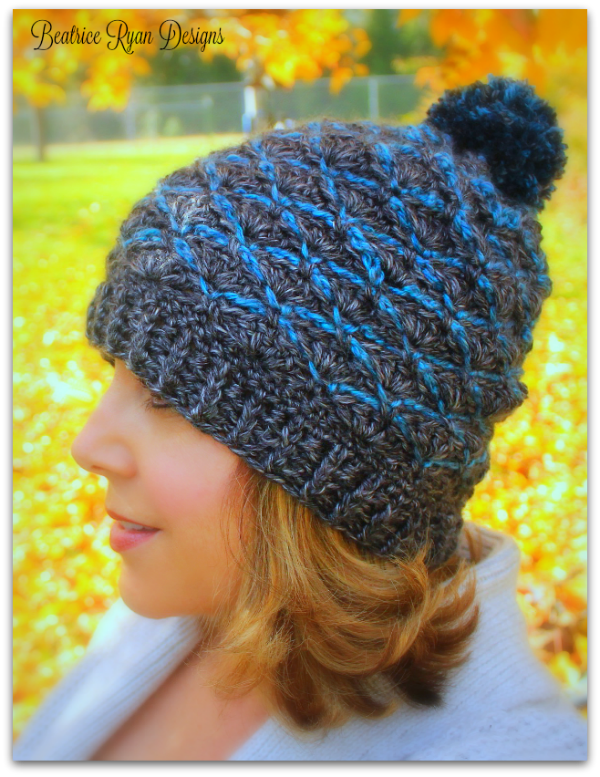 If you love the Steel Ridge Beanie… Save it to your Ravelry favorites!! Click Here…. Steel Ridge Beanie is a fun easy shell and chain pattern beanie… Pick 2 of your favorite colors and make one today!! Perfect for a cool afternoon or chilly evening. Finish off leaving long tail for securing top of beanie. Weave tail in and out of each middle dc of 5dc shells. Draw closed and secure. Round 3-5: Ch 2, bphdc around next st,* fphdc around next st, bphdc around next st*, repeat *to* around. Join around top of beginning ch 2. Congratulations, You now have a Steel Ridge Beanie… Make sure to share you pictures on Instagram, Facebook and Pinterest!! How many stitches would I add? Increments of how many? This is the second pattern I’ve used of your design, you do such a beautiful job! 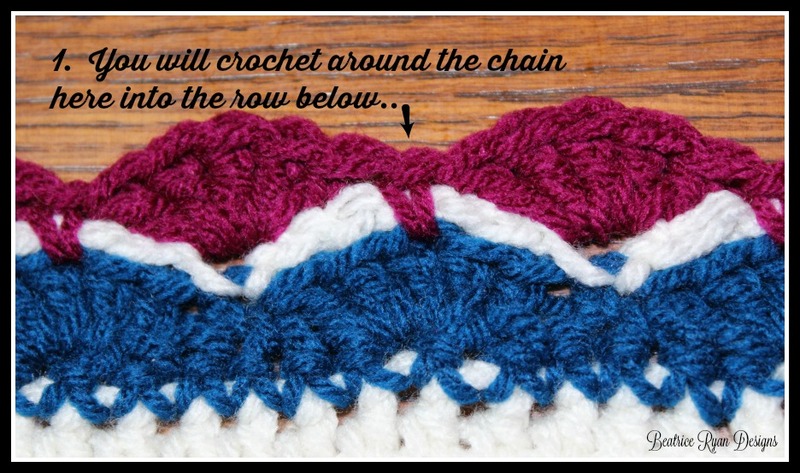 I’m not sure if my othere comment made it thru but I need to know what to do after each round, bind off and weave in the ends of every row or somehow carry the work up, skipping the opposite rows? Thank you.